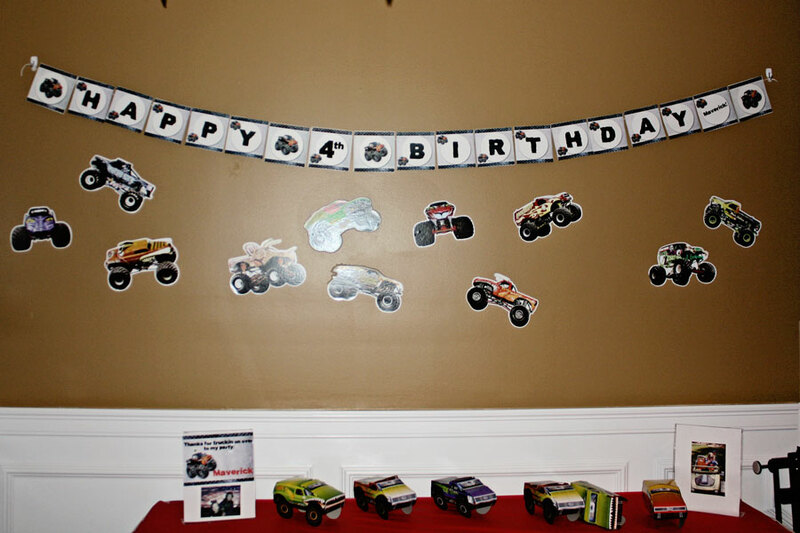 I LOVE to get party pics from my customers, because there is nothing more exciting than seeing my printables in action. 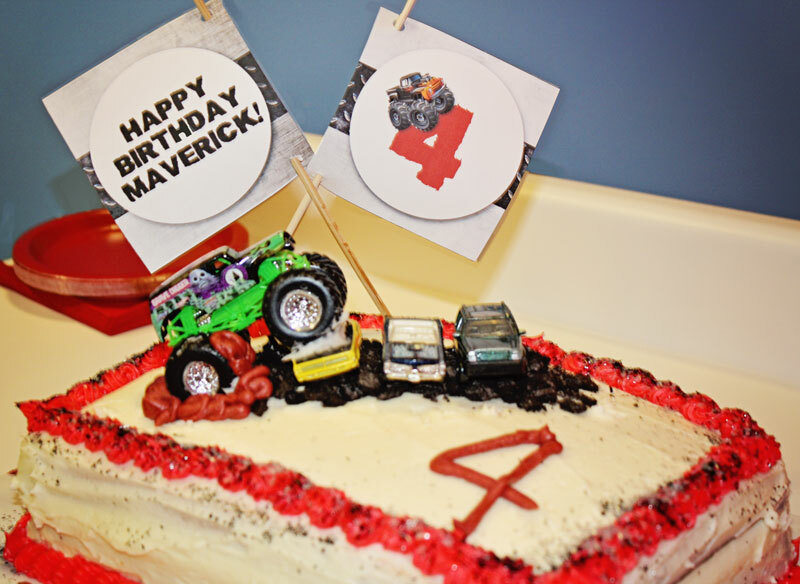 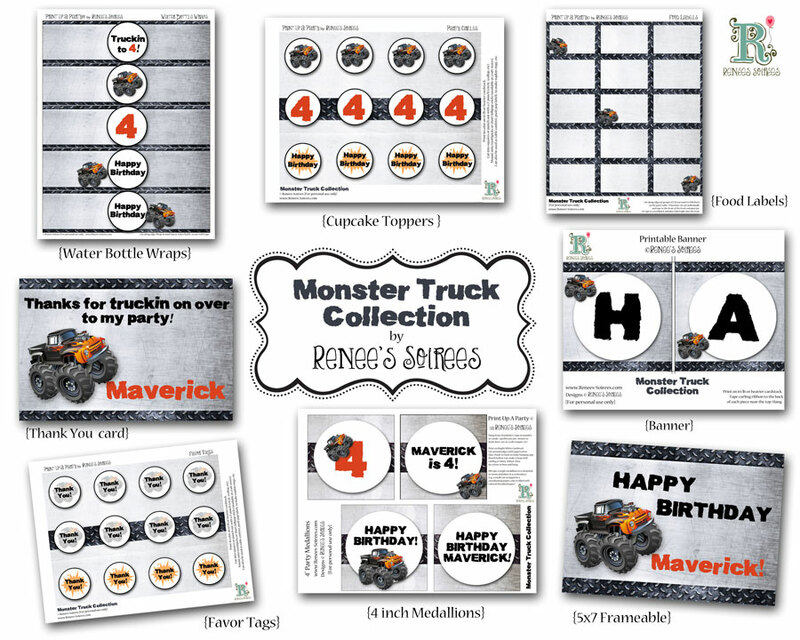 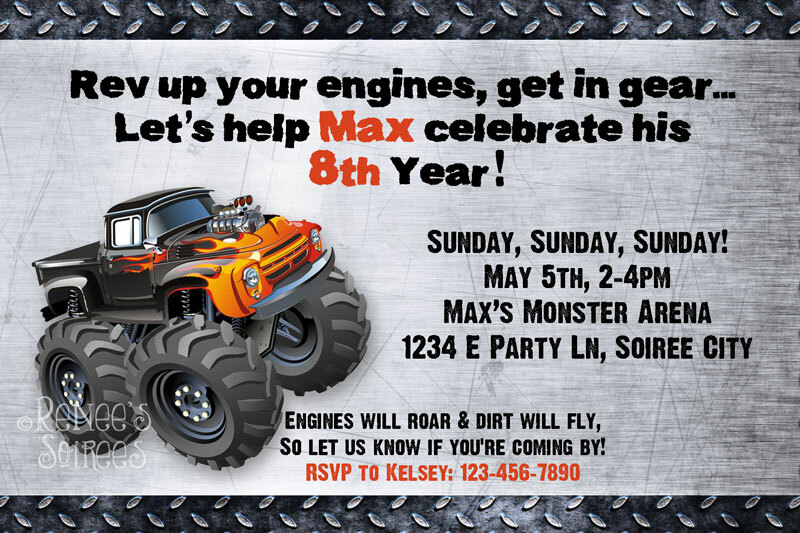 My sweet customer Joanne sent me these photos of her son Maverick’s MONSTER TRUCK party using my printable collection. 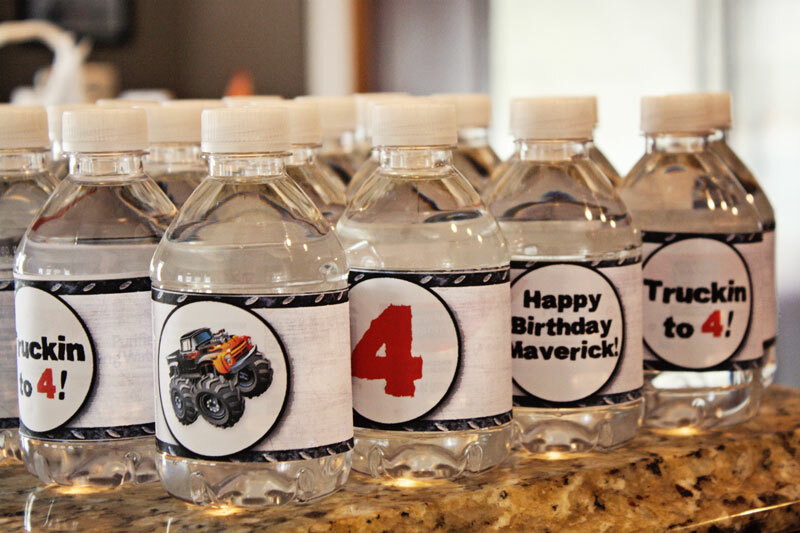 I especially love what she did with the 4 in medallions! 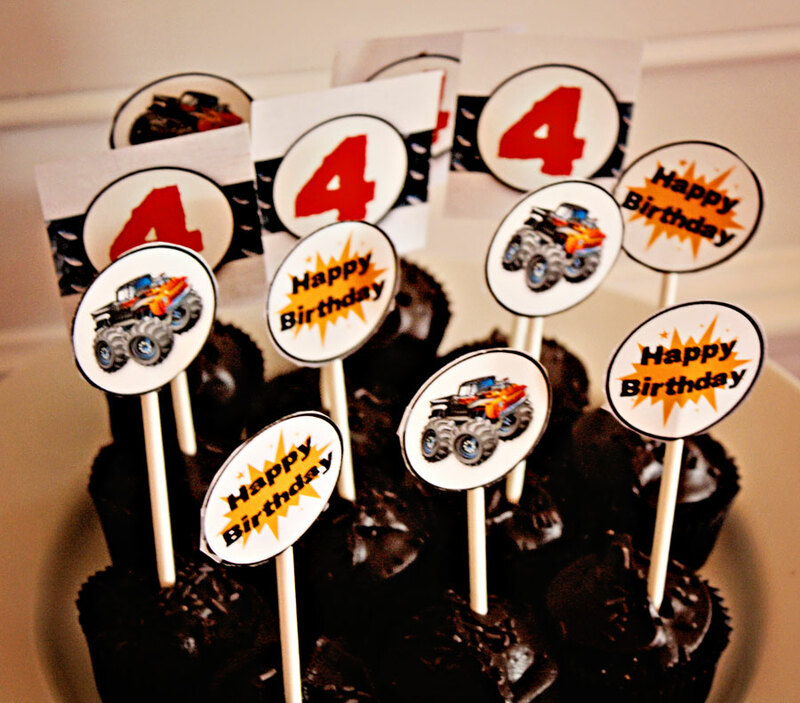 I’ve used them on activity tables, on buffet foods, and on beverage dispensers, but I never thought to use them on the cake! 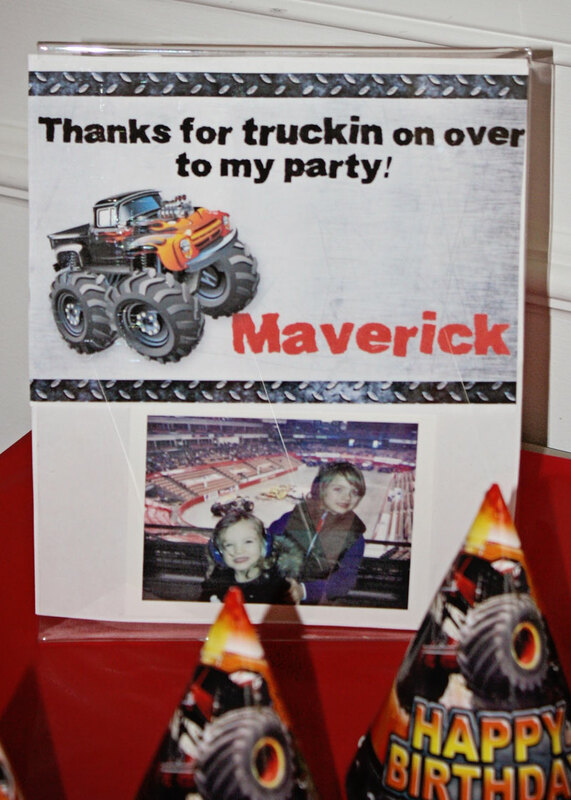 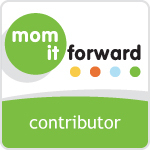 Thanks Joanne for the fun photos, and I hope you enjoyed them as much as I did!